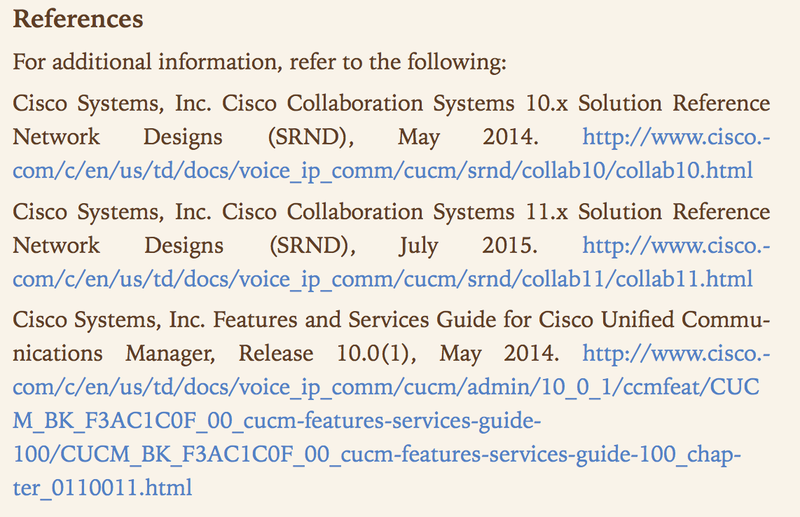 Recently, I wrote a post entitled, "Easily Upgrade CCNP Voice to CCNP Collaboration". When I drafted that title, I was thinking about the number of steps involved to migrate a CCNP Voice to a CCNP Collaboration certification. In my mind, this was indeed "easy" - it's just one single exam (300-075)! I immediately received feedback that this exam was not "easy" in any way - in fact, it was difficult to study for it due to the lack (at the time) of a Cisco Press authorized self-paced learning tool. There is a tremendous amount of information available - but how to pull it all together to really prepare effectively? 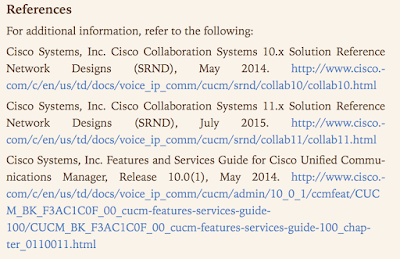 So, like many others, I was eager for the release of the the official self-study foundation learning guide "Implementing Cisco IP Telephony and Video, Part 2 (CIPTV2)" by Cisco Press on March 24, 2016. I had already spent hours scouring the web to find resources that I thought would help me prepare for this exam (CIPTV2 300-075) based on the exam blueprint that had been released by Cisco. However, even though I found tons of information on the topics listed, I still felt as though the blueprint was broad enough that it would be difficult to prepare fully for each topic listed. Simply put, what will I be tested on? Cisco Press states that "as an Authorized Self-Study Guide, this book fully reflects the content of Cisco's official CIPTV2 course." As long as the 300-075 exam fully reflects the content of the official CIPTV2 course, I'll be in good shape. To quote the publication, "The most important goal of this book is to provide you with knowledge and skills in Cisco Collaboration solution, with a focus on deploying the CUCM, Cisco TelePresence VCS, Cisco Expressway Series Solution and associated Cisco Collaboration solution features." However, the obvious goal of the book is to prepare the reader to pass the CIPTV2 (300-075) exam as part of the CCNP Collaboration certification and it does so by teaching the reader to understand the topics so that the end result will be a more skill Cisco Collaboration professional. I feel that this is a very important concept. The true value of a certification is not the certification itself - but the knowledge obtained in the pursuit. The book stays true to this tenet and as it steps through each chapter. Each chapter contains practice exercises on the topics and test questions at the end of each chapter. The test questions are an excellent way of determining if you've understood the information presented in the chapter. Don't move on to the next chapter until you fully and completely understand the test questions! Better yet, your learning is not confined by the information within the book either! If you'd like to dig even deeper into a specific topic, there are online references listed at the end of each chapter for a truly deep dive. Much of the difficulty found within the 300-075 CIPTV2 exam can be explained by the large scope of material involved. It's difficult and time consuming to gain depth in all topics. However, the book does an outstanding job of rendering the information down into dense nuggets of information that allows the reader to consume knowledge as efficiently as reasonably possible. You won't find a lot of fluff, the information presented is done so for a reason. To get maximum benefit from the book, I recommend that you've either previously learned the CIPTV1 material (or the similar in the CCNP Voice certification) from the CCNP Collaboration blueprint. While this may seem subtle, the prolific use of the "Note" box is a personal favorite of mine and calls attention to and clarifies the most important concepts. Pay close attention to these boxes for important information that will likely be reflected in some manner on the official test. You'll also find tons of the requisite technical illustrations and diagrams as well. Logical flowcharts, examples of GUI screens and plenty of network diagrams are included throughout. From a purely selfish point of view, I needed to obtain the knowledge needed to pass the 300-075 exam for two reasons. Firstly, I need to update my knowledge beyond what was presented on the CCNP Voice certification. Secondly, I need to renew my certification and obtain the CCNP Collaboration certification. I believe that the book succeeds in providing the necessary framework that I needed to meet both of my goals. The material is logically presented, supported with visual aids where it makes sense and builds upon the CIPTV1 (and larger CCNP Voice) curriculum in a methodical manner. The online references are a tremendous resource if you desire additional reinforcement. I'm not a stranger to Cisco Press self-study books and have heavily used self-study in my learning approach for various tests and certifications over the years. Alex Hannah and Akhil Behl do not disappoint and have successfully created the high quality resource that I expected. This book is simply the best self-study material available to prepare for the CIPTV2 300-075 exam. Utilize the written chapters, verify with the test questions and go deeper with the online references. This approach will guide you as you prepare to take the exam if you truly commit to learning the material, but more importantly, it will make you a better Cisco Collaboration professional. Many tools are provided so that you can be successful in your pursuit. My largest criticism of this product comes at the lack of a testing engine or any sample tests. While the chapters contain sample test questions, I personally find great benefit from the iteration and validation available in previous Cisco Press products that have included a testing engine. Now that I've passed, I can give you some more details on the approach that I used. Read the CIPTV2 book from Cisco Press. I'm not going to lie to you - It's not Stephen King or Dean Koontz. There are times that I read a paragraph and then read it again. And then again. Don't just gloss over the words without serious contemplation of what they mean. If you say to me, "but Dave, I'm already solid on some of these chapters and time is short", then you need to focus hard on your weaknesses. Read those chapters thoroughly - they build a great foundation to build upon. Next, you need to get online and read the documents from which Cisco is likely to pull exam questions. I suggest the following for each major technology on the exam. This may seem a bit like spitting into the wind, but you can't expect all exam questions to come from the Cisco Press literature or the official CIPTV2 class. Don't overlook the online references provided in the book at the end of each chapter - these are gold! Finally, get your hands dirty in a lab, if you have that available. If not, Cisco's dCloud could be an option. If that is not an option, you can find videos in various places to help get more exposure to the technologies involved.